The July 31 early registration deadline for CSDC's 2018 California Charter Schools Leadership Update Conference is quickly approaching. Register now and take advantage of the best rates at this year's event. 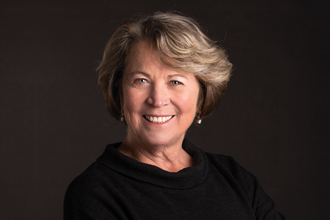 In addition to the deadline reminder, we are also eager to announce this year's conference keynote speaker, Patty McCord, former Chief Talent Officer of Netflix and author of Powerful: Building a Culture of Freedom and Responsibility. Given that the charter school movement continues to challenge traditional notions of school systems and pedagogy, we thought it appropriate to invite a fellow firebrand who has challenged the traditional ways in which companies have recruited, motivated, and created great teams. This year's keynote speaker, Patty McCord, served as chief talent officer of Netflix for fourteen years and helped create the Netflix Culture Deck. Since it was first posted on the web, the Culture Deck has been viewed more than 15 million times, and Sheryl Sandberg has said that it "may be the most important document ever to come out of Silicon Valley." Currently, Patty coaches and advises a small group of companies and entrepreneurs on culture and leadership. She also speaks to groups and teams around the world. Patty's book Powerful: Building a Culture of Freedom and Responsibility was published in January of 2018. Prices increase after July 31.